O'Connor's new album 'An Appalachian Christmas' debuted this week at #5 on Billboard's Bluegrass Albums Chart and at #18 on Billboard's Classical Albums Chart. Out now, 'An Appalachian Christmas' features collaborations with James Taylor, Alison Krauss, Yo-Yo Ma, Chris Thile, Renee Fleming, Jane Monheit and more. Metromix raves, "Mark O‚Connor is a maestro of many genres" and American Songwriter calls the album "an absolute delight." 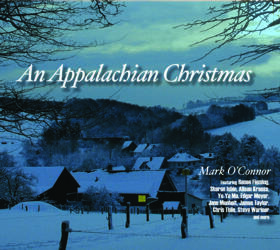 Grammy winning composer, violin virtuoso and educator Mark O'Connor released his first holiday album, An Appalachian Christmas, on September 20 via OMAC Records. The star-studded collection featuring James Taylor, Yo-Yo Ma, Renee Fleming, Alison Krauss, Sharon Isbin, Jane Monheit, Chris Thile, Steve Wariner and more, An Appalachian Christmas features rare collaborations available for the first time in years as well as new recordings. O'Connor, proclaimed by Strings Magazine (cover story this month) to be "revolutionizing string pedagogy" has confirmed a string of new U.S. tour dates this fall. As a sought-after solo performer and composer, these upcoming dates will include a week at NY's Blue Note collaborating with vocalist Jane Monheit; a world premiere of a new orchestral overture, Queen Anne's Revenge, commissioned to celebrate the recovery of pirate Blackbeard's ship, off the coast of North Carolina; a residency at the University of Miami for a 3rd year in a row; and many symphony orchestra solo appearances. See below for full tour schedule. 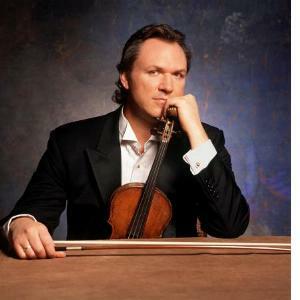 O'Connor's last collaboration with Yo-Yo Ma, Appalachian Journey, was one of the biggest classical crossover hits of the past decade, spending several weeks atop the Billboard classical chart (and remaining on the chart for over two years), and winning a Grammy. For a full itinerary of Mark O'Connor's current tour, visit his calendar on the web. For more about this great artists and his many projects, visit him on the web at MarkOConnor.com .